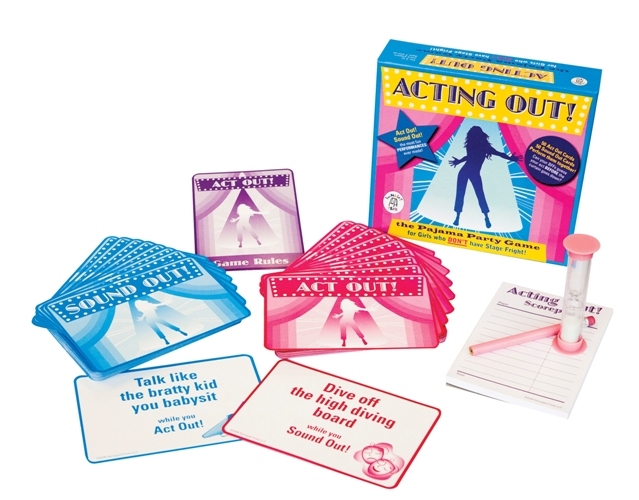 Acting Out - The Pajama Party Game for Girls who DON'T have Stage Fright! Can you act like a supermodel in a photo shoot? Can you sound like the bratty kid you babysit? Easy, right? Well, try doing them at EXACTLY THE SAME TIME! If your BFFs can stop laughing for long enough to guess what you're doing you win! That's Acting Out!